Address: 1/61 Soi Sukhumvit 30, Sukhumvit Road, Bangkok, Thailand. 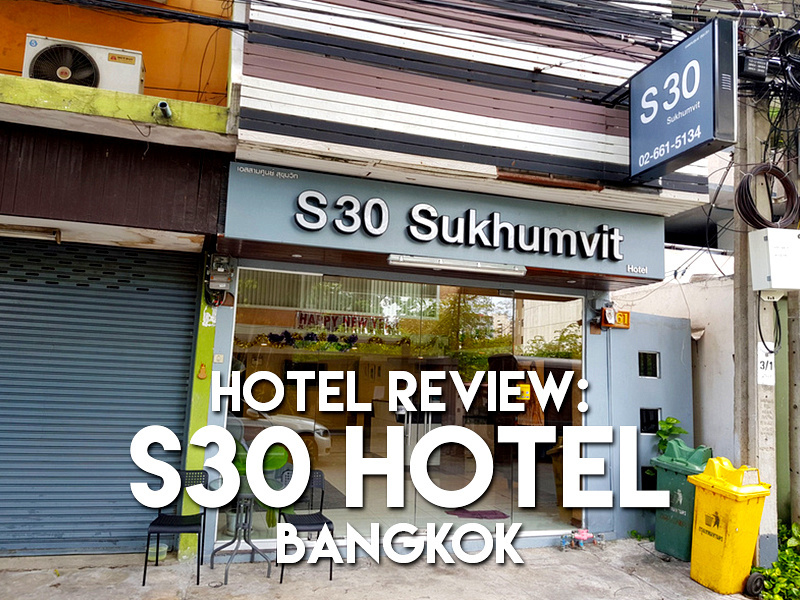 I stayed at the S30 Hotel in Bangkok. I picked it for its location on Sukhumvit Road, which is one of my preferred areas to stay in Bangkok. 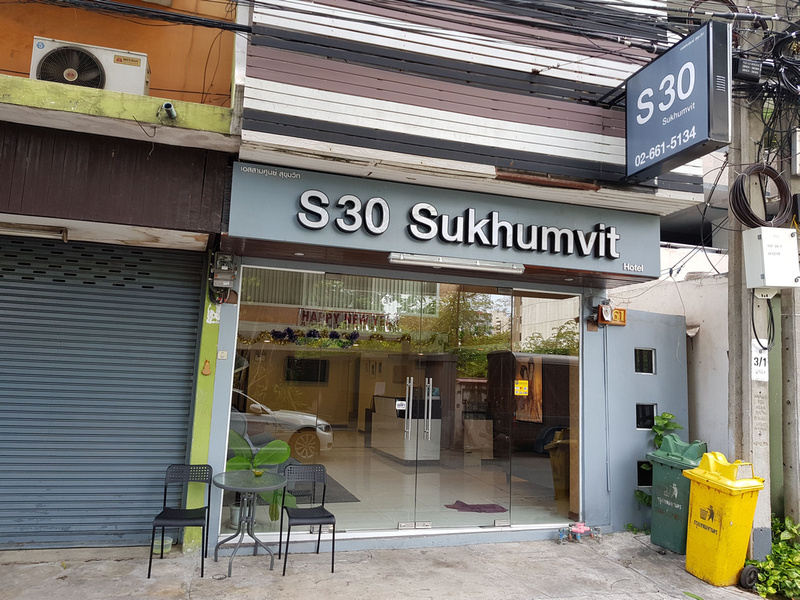 I know Sukhumvit Road quite well by now, but I couldn’t place anything I knew about Soi 30. Indeed, it turned out to be an unremarkable road on Sukhumvit. It’s more like a wide alley and it’s mostly residential. 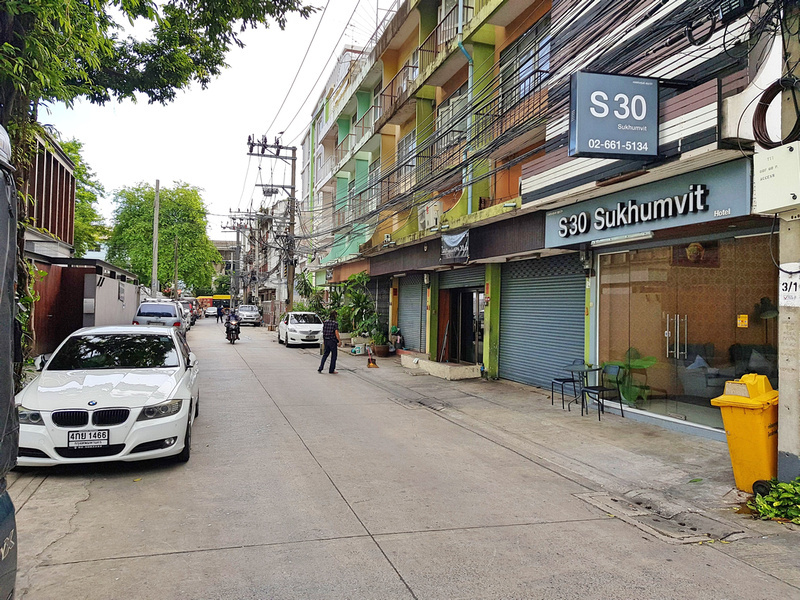 I say this as a good thing as it’s a quiet street, yet it’s under 10 minutes walk to Phrom Phong BTS station. S30 Hotel is near the start of the lane and is clearly marked, and not down another weird side alley. 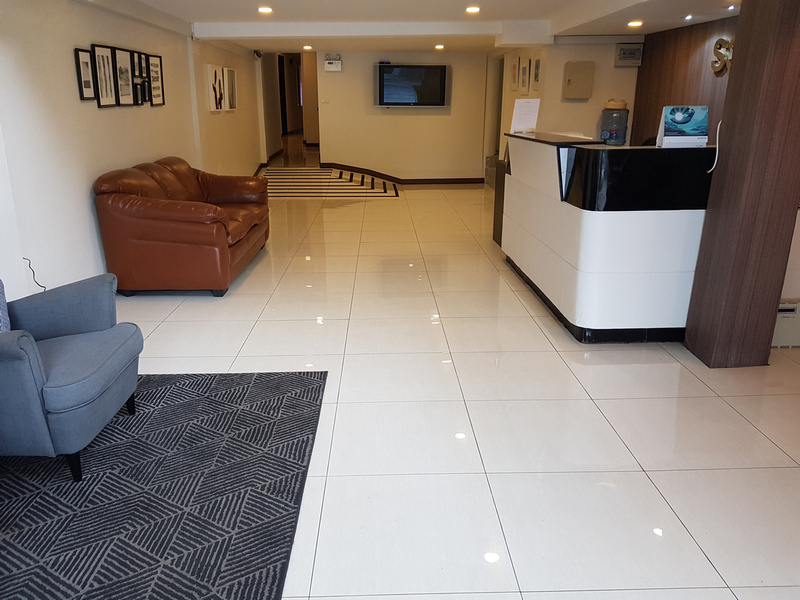 The S30 reception has a clean modern feel to it, and the receptionist was polite and friendly. 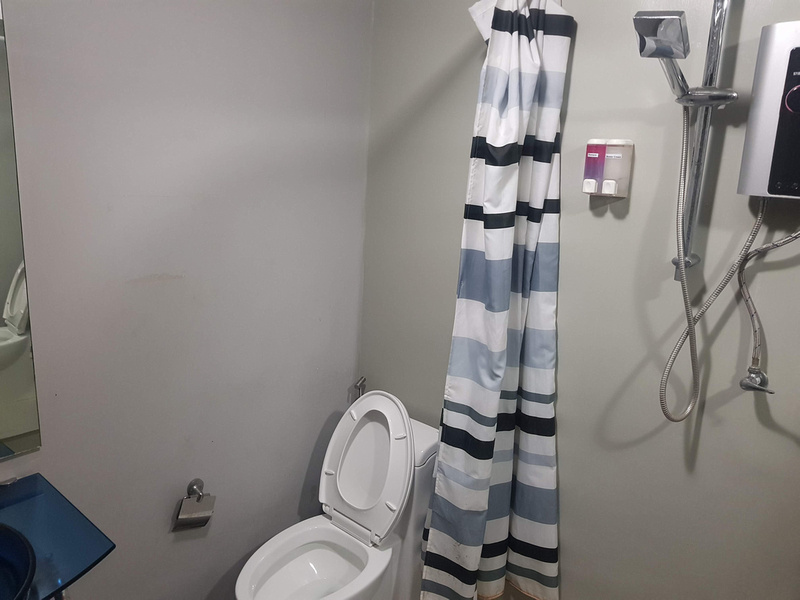 I got a double room with private bathroom. The bed was comfortable and the room was spacious. The air conditioning was temperamental though, as it wouldn’t start straight away, and I couldn’t change the settings of the fan speed. There was a window in my room which faced a brick wall on the neighbouring building. I prefer that over a windowless box at least. The room had a little ledge to place items, and a basic tea and coffee making facilities. The bathroom was ok and everything seemed to be in order until I had a shower. It turned out that the floor wasn’t level, or the floor had sunk slightly over the years. As a result the water was pooling in the middle of the room and unable to reach the drain. Overall this wasn’t a bad place given the price and location. The location was perfect for me as I usually meet people around Sukhumvit Road when I am in Bangkok for a short visit. It needs to be better maintained though, otherwise it’s going to age badly. 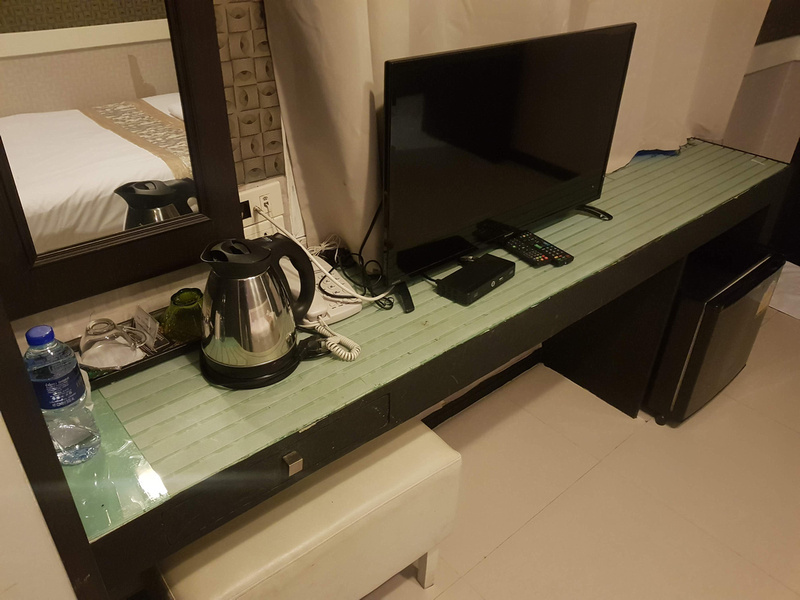 I’ve found that these sort of budget hotels can keep going for years without a renovation if they are on top of their maintenance. 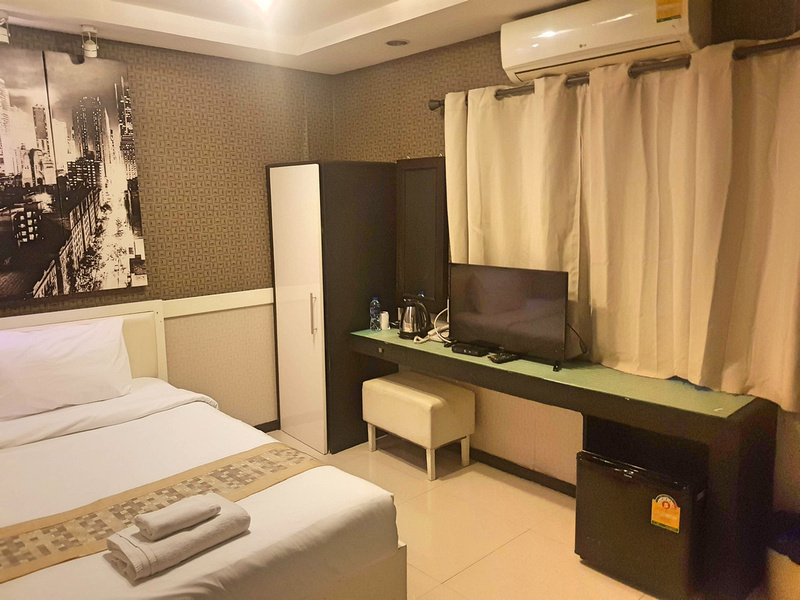 Book the S30 Hotel online or search for more hotels in Bangkok.